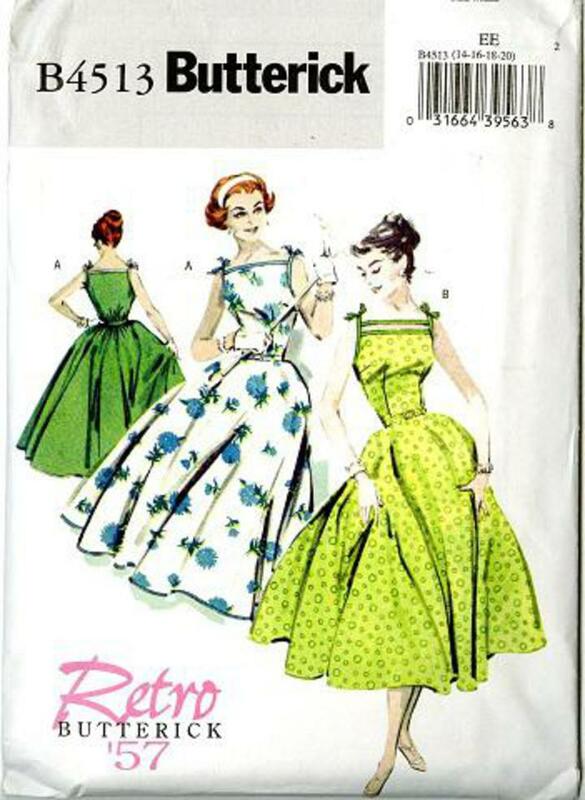 2005 Retro '57 Butterick #B4513 sewing pattern, misses' sleeveless sun dress, cocktail dress, plus size 14-20. 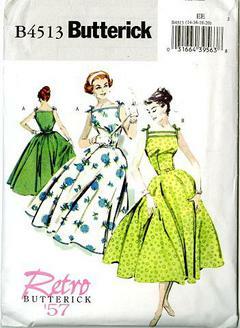 Calf length, flared dress has elastic in back, double fold bias tape trim at neck and armhole, forming shoulder straps. Belt is interfaced with buckle without prong.